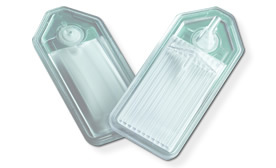 Small as it is, the new MediPureTM Adult IV filter from Filtertek is no small thing. Not when it can assist clinicians in providing the safety, reliability and efficiency that characterize superior patient care. Innovative design was scaled to accommodate high volume manufacturing growth for product launch in European and US markets and increased market share. Filtertek participates in a variety of tradeshows and industry events each year. As part of the ITW Medical family, Filtertek often exhibits to demonstrate our full capabilities. Get to know how Filtertek can innovate for your next cutting-edge product at an upcoming event. The Newcastle West-based medical device components manufacturer Filtertek Ireland, an ITW Medical company, is set to expand its operations, adding 35 new manufacturing roles over five years, bringing total employment to nearly 100 people.